Bush School students at the Texas Capitol. 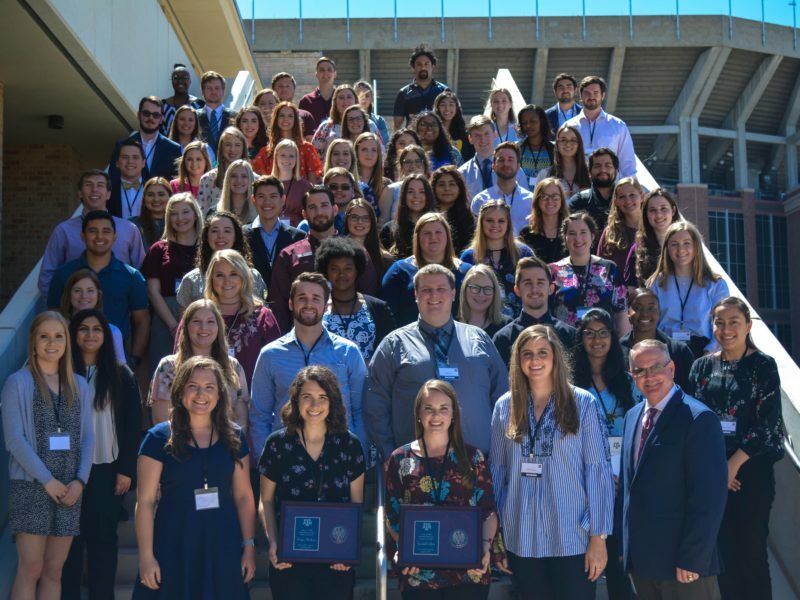 Seven graduate students from the Bush School of Government and Public Service at Texas A&M University will have the opportunity for direct engagement with state government in the spring semester. Bush School professor Dr. Ann Bowman will guide students as they work for members or committees during the 86th session of the Texas legislature, which convened Jan. 8, 2019. The students’ responsibilities include researching policy issues and drafting and analyzing bills as they assist legislators serving the people of Texas. “The legislative process is fascinating and important, and this capstone puts students in the thick of the action,” Bowman said. A legislative bill starts as an idea and travels a long, complex path before it emerges as law. About 6,000 bills are introduced during a typical legislative session in Texas, and only about 20% of them are enacted. Capstone students spend the fall semester learning about legislative bodies in general and the Texas House and Senate in particular. Students are required to take two classes during the semester on top of their legislative work. Since 2011, five sets of Bush School students have participated in this capstone, which occurs every other year. Some students have stayed in their positions beyond the legislative session, others have found employment in state agencies or with interest groups after the session ends. When the semester comes to a close, students submit a research report on a relevant issue. In previous years, the Texas Legislative capstones have studied the legislative redistricting process, the Texas rainy day fund, and the professionalization of state legislatures.